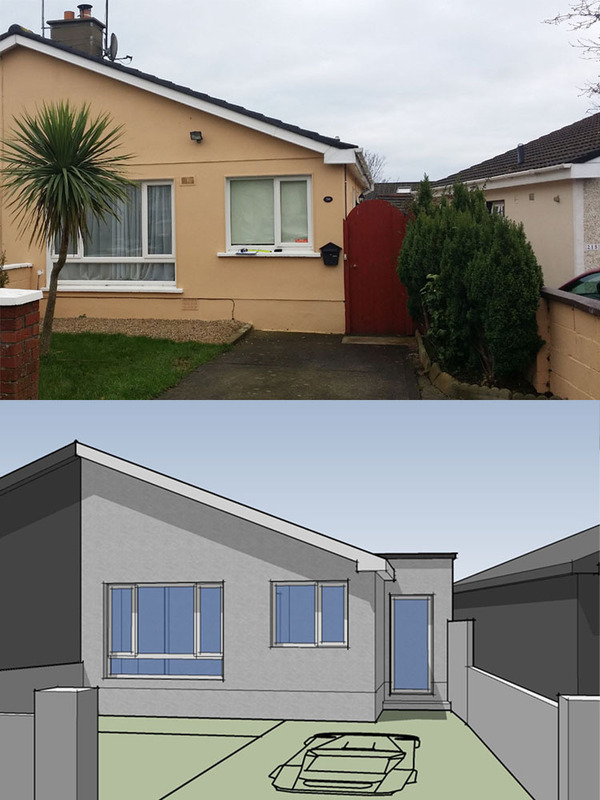 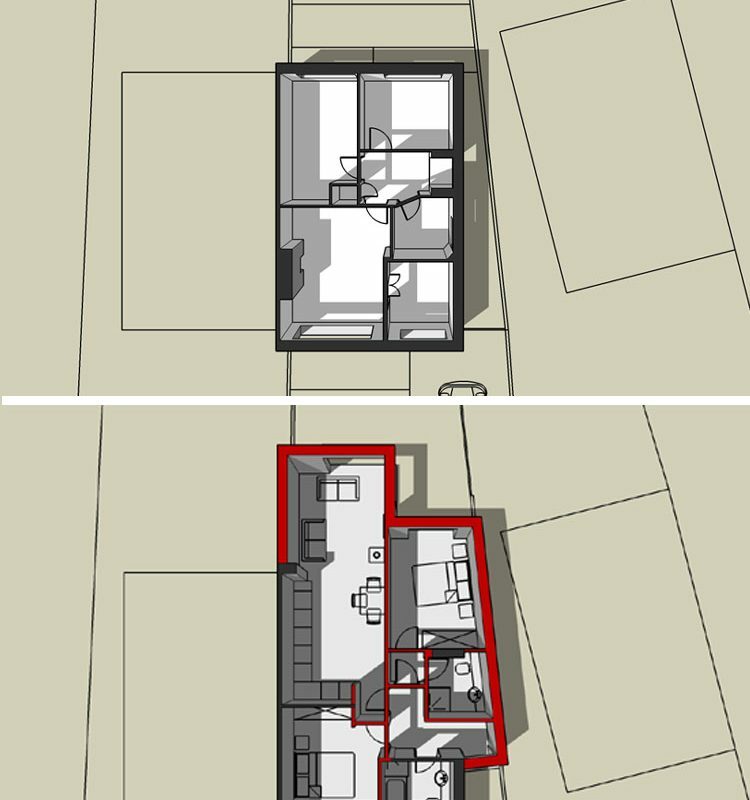 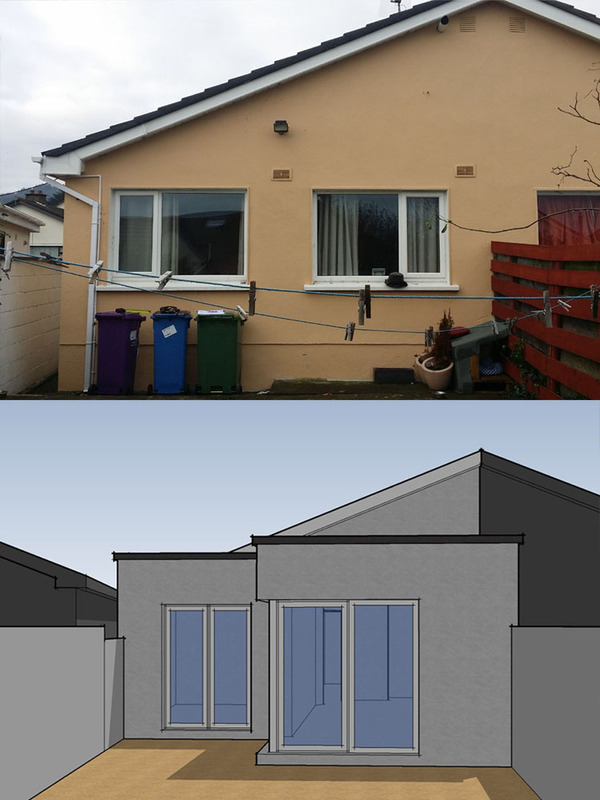 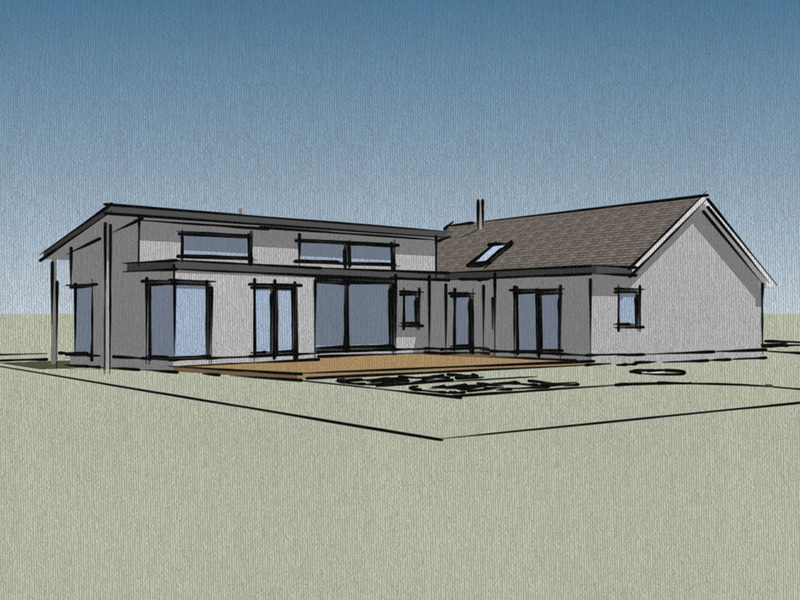 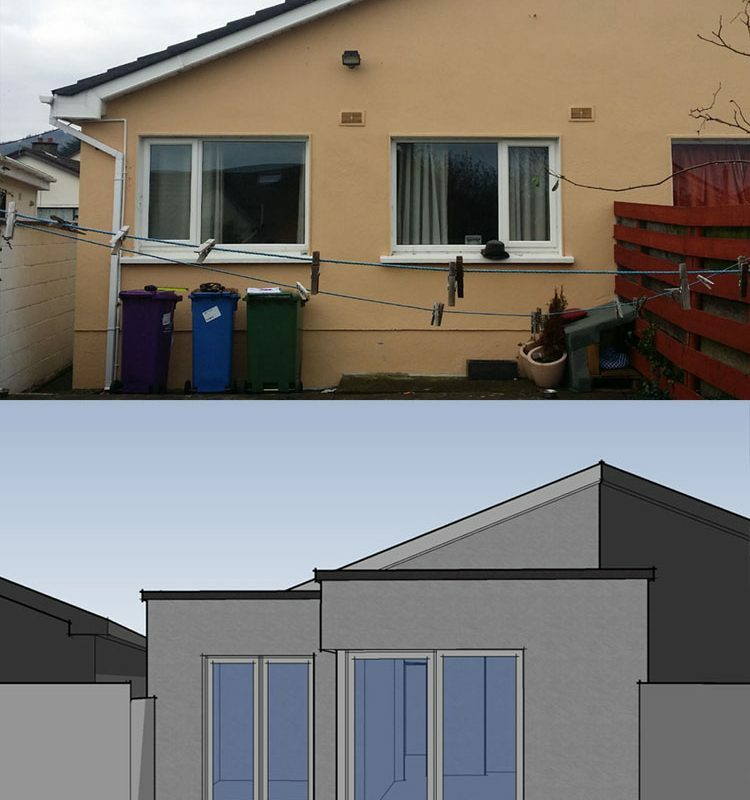 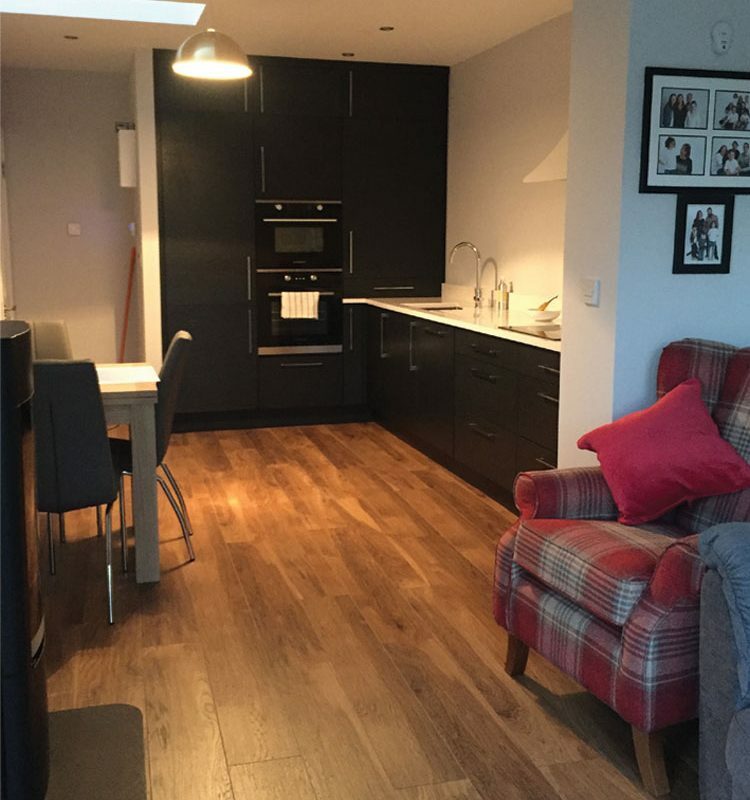 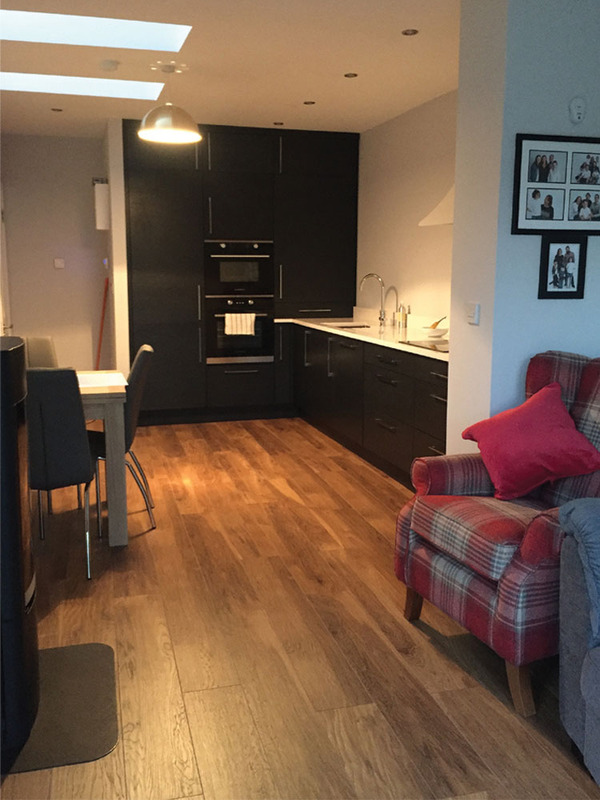 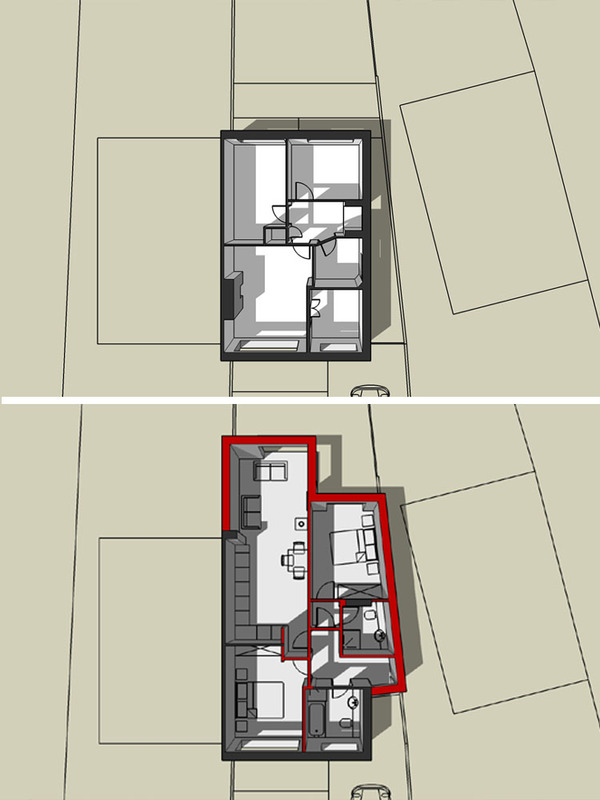 The client engaged our services to transform this small (<600sqft) 2 bedroom semi-detached dwelling. 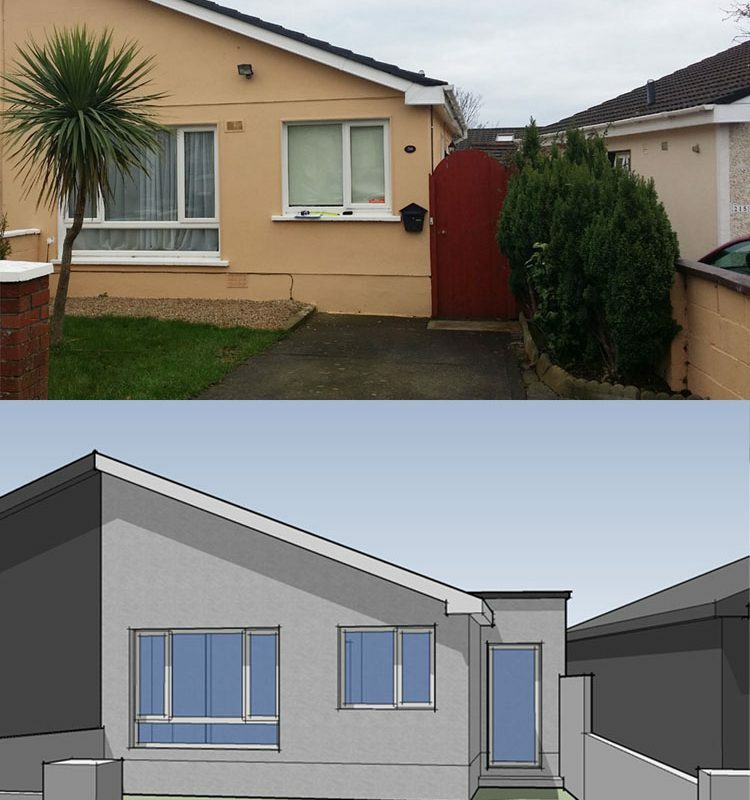 The dwelling is located on a compact site in an existing housing estate with restricted access to the rear of the property. 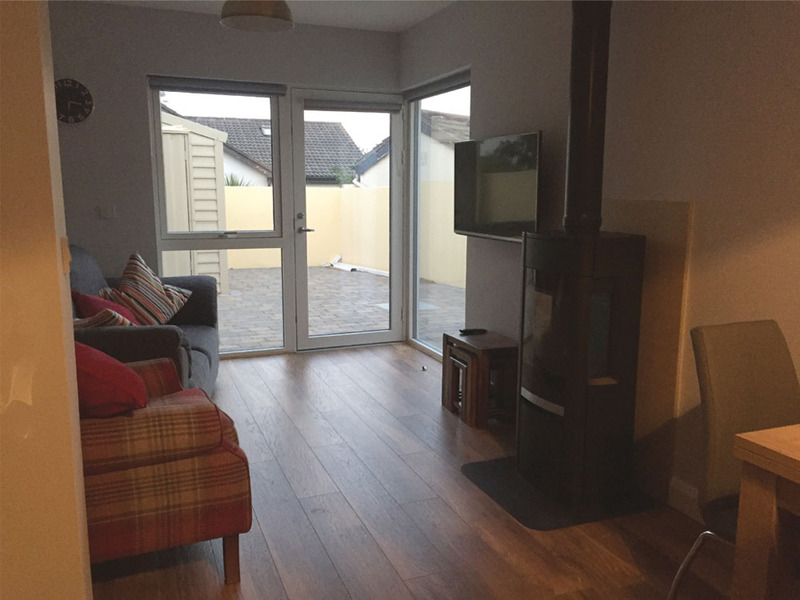 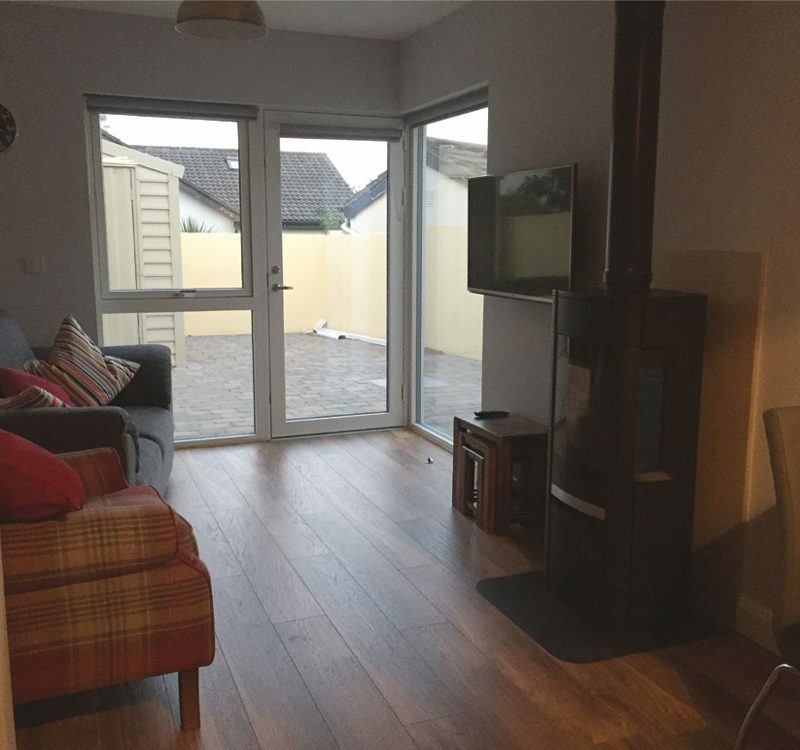 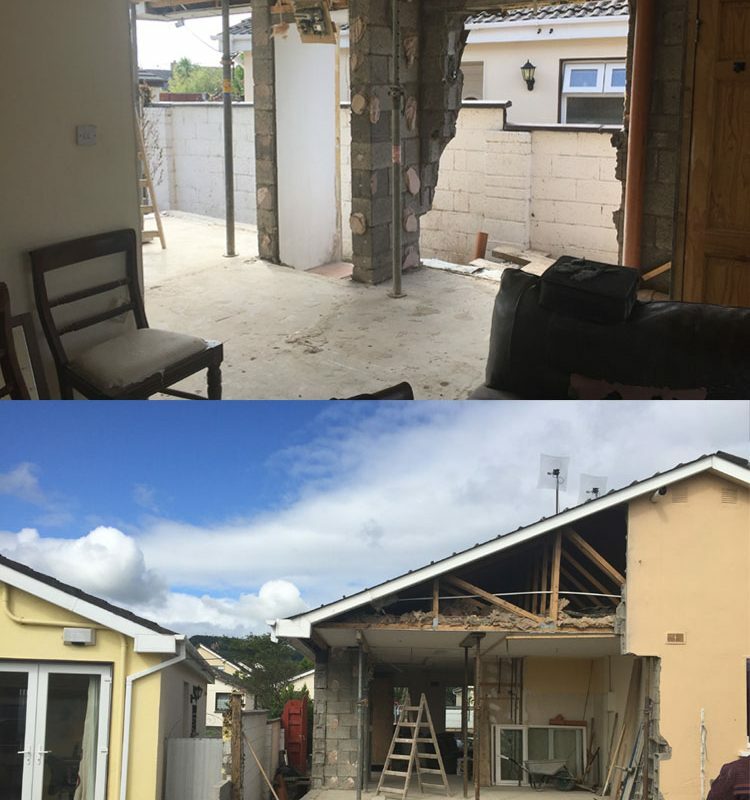 Our aim was to renovate the existing internal spaces in conjunction with a small side and rear extension to accommodate a kitchen, living & dining space, master bedroom & en-suite with spare bedroom and main bathroom. 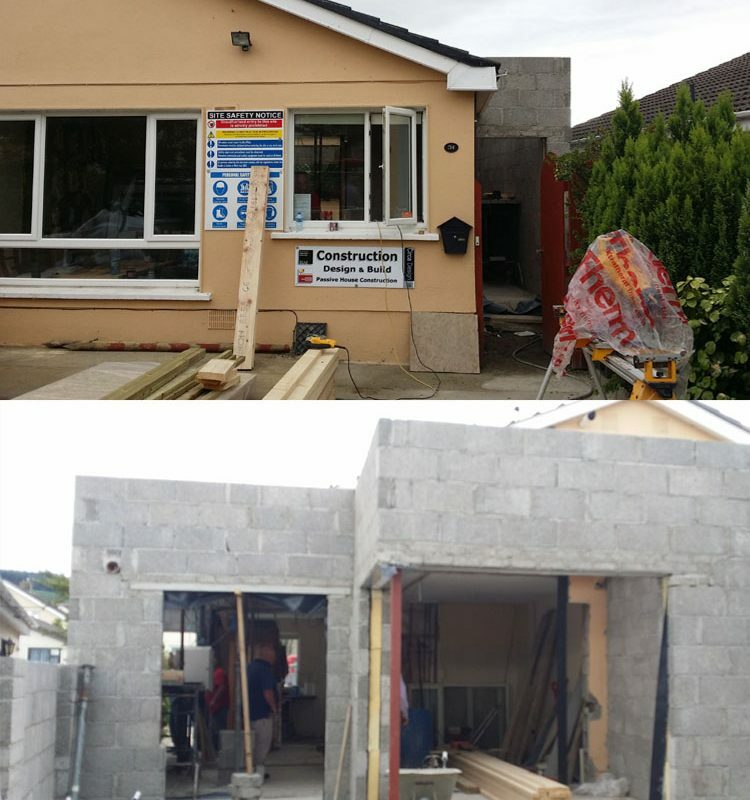 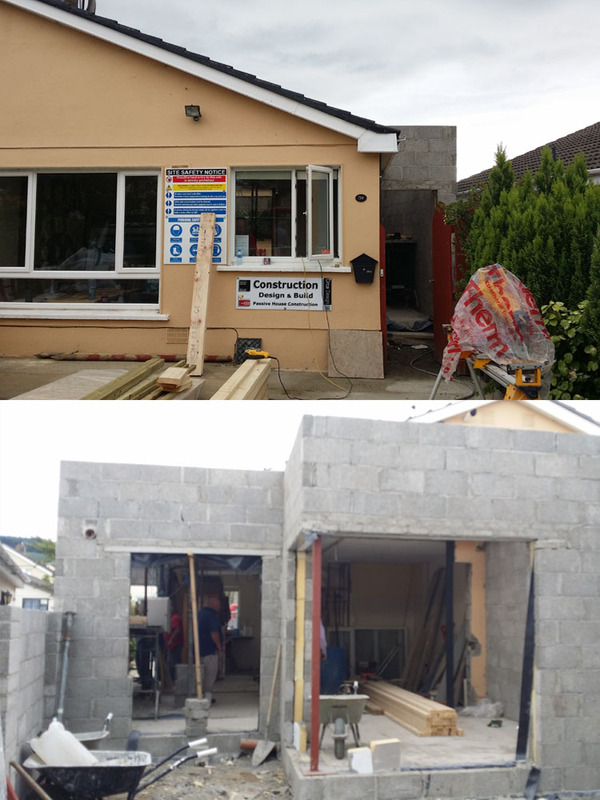 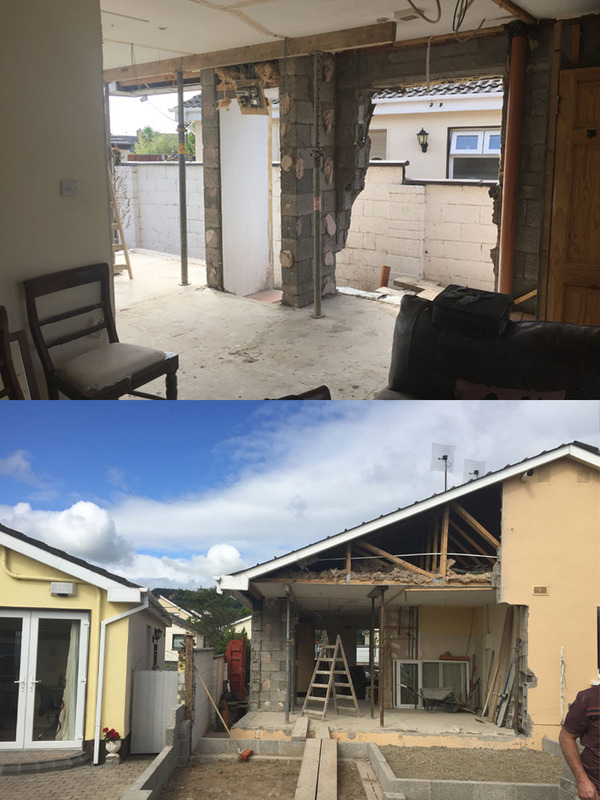 The construction works involved significant demolition to the rear & side of the existing dwelling with the living area and master bedroom located to the rear of the dwelling opening out into the newly paved rear garden.